The rise of the feminist movement has had an influence on pop culture and many facets of art, but how does feminism inform the kind of theatre that has been produced over the last couple of years? With many women campaigning for more equality in the theatre industry and the significance of intersectionality, theatre is undergoing a change. How can we all ensure that our work contributes to that change? Feminist theatre maker, Nastazja Somers, will lead this workshop on the importance of intersectionality through facts and exercises that will enable all the participants to forget about history and focus on ‘herstory’. Originally from Poland, Nastazja trained as an actress both in Dublin and London. She assisted directed Phil Willmott on his critically acclaimed productions of Fear and Misery of the Third Reich and Three Sisters, and collaborated with Phil on the family show The Wawel Dragon at The Scoop. Nastazja is the founder and producer of HerStory: Intersectional Feminist Theatre Festival which challenges the misrepresentation of women in theatre. She is currently working with Barbara Houseman on an all female project, Dangerous Space. 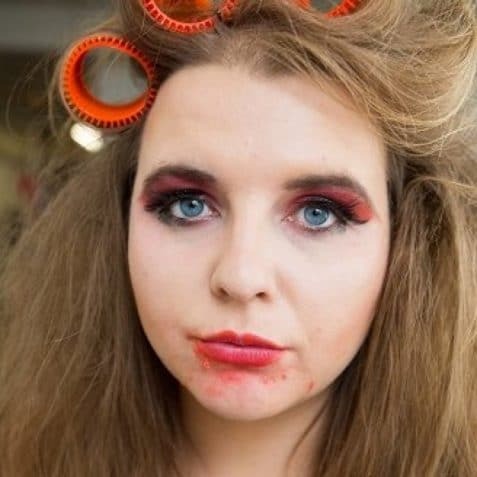 Her one woman show, THINGS THAT DO NOT COUNT, which deals with body positivity and female image, will be at The Vault Festival 14-18 of March. Find out more here.